In his essay on reading the books theologically, Christopher Wright makes the remarkable observation that “community building is the heart of the books of Ezra and Nehemiah” (158). Aside from the prayers in Nehemiah, these books rarely find their way into the preaching of the contemporary church. But if Wright is correct, then these two neglected books offer an insight into a community redefining itself within the flow of God’s redemptive plan. They are indeed building a community and the process may be a model for community building in a contemporary context. The difficulty is finding a hermeneutical bridge between the obscure world of the post-exilic world and the modern church. Since this Two Horizons Old Testament Commentary is example using Theological Interpretation of Scripture approach, the authors work very hard to put Ezra and Nehemiah on the biblical theology map. The authors do not concern themselves with the origin of the books of Ezra and Nehemiah other than to date the book sometime after 430 B.C. The introduction discusses sources such as proclamations, letters, lists, and prayers in addition to the persona recollections of Nehemiah and Ezra. An unknown editor wove these various sources into the two canonical books. This editor, who may or may not be the same as the editor of the books of Chronicles, adapted the sources for his own theological purposes. Since the work is a theological commentary, Shepherd and Wright want to give special attention to the editor’s theological interests before moving to the New Testament and Christian traditions (9). Shepherd wrote the commentary which covers both Ezra and Nehemiah in about one hundred pages. Given the brevity of this section of the book, he moves through paragraphs rather than verses. Hebrew appears in the body of the commentary with transliteration so those without Hebrew can still make good use of the commentary. In fact, in only rarely does Shepherd cite than a Hebrew word or two. He does interact with contemporary scholarship on Ezra and Nehemiah in the footnotes. At the end of chapters he provides a brief summary of the section. There are three essays which extend the exegesis into theological interpretation. First, Wright contributes fifty-four pages on “Reading Ezra-Nehemiah canonically. In this excellent essay Wright seeks to rescue Ezra-Nehemiah from Old Testament scholars who see Ezra as the source of the legalism of later Judaism. The essay has two main focal points, God and the People of God. That God is the creator, sovereign and the redeemer are something of a default theology for virtually the whole Hebrew Bible, but it is surprising to find that there are echoes of the exodus narrative throughout Ezra-Nehemiah. For Wright, the “historical-redemptive tradition is harnessed to the challenging situation the exiles faced on their return” (118). This leads directly to a unique contribution of Ezra-Nehemiah, the idea that God reveals himself in Scripture. Ezra reads the Law and the people respond with obedience, gratitude and joy (121). Wright provides a preachable outline of the use of Scripture in Ezra-Nehemiah. There is reading and listening to the word of God followed by explanation and teaching of the word. Teaching implies properly trained priests who are able to explain the Law to the people. This intense encounter with the word of God touches the people deeply and there is weeping and rejoicing. The people do not intellectually study the Law, the Law exposes their sin and reminds them of the grace of God. But the response is not wholly emotional, the people find some way to do the word of God, demonstrating they have fully understood the Scriptures (122-3). In Ezra-Nehemiah the people of God are rooted in a historic identity. This is the function of the genealogies in the books. They connect the present people of God to the people and places from before the destruction of Jerusalem. What is more, this connection to the past is used to build a hope for the future (135). The unified people of God are called to be different than the surrounding people. This leads Wright to one of the more difficult aspects of Ezra-Nehemiah, Ezra’s demand that men who married foreign women should divorce their wives. Wright points out the demand is based on religion, not race. The distinctiveness of the Israelite faith requires that any contamination of worship should be purged (146). This of course looks back to Solomon, but Wright examines the way Ezra and the leaders interpret the divorce laws to apply them to a new situation. The Law did not ban all foreign marriage and there are several examples of important Israelite leaders who did marry a foreign woman (Moses and Boaz, for example). The requirement to divorce the foreign women is not a prophetic statement, but an exegetical decision. Although Wright does not make this point, this observation helps with the application of Ezra-Nehemiah’s view of divorce in different circumstances. Wright’s second essay in on “Reading Ezra-Nehemiah Theologically Today” (pp 158-187). In this section Wright works very hard to connect the “people of God” in Ezra-Nehemiah to the people of God in the New Testament, especially the Pauline epistles. The people of God know who they are and where they are in the overall story of redemption. At several points in this essay Wright bemoans the Church’s lack of interest in the Old Testament because this implies the present people of God are unaware of where they have come from as well as their place in the story of God’s redemption. Both of Wright’s theological chapters find traction in Ephesians especially the unity of Jews and Gentiles in Ephesians 2:11-22. Wright draws several practical applications for modern church life from Ezra-Nehemiah. First, the community in Ezra-Nehemiah exalted the Scriptures (169). Ezra is a model for pastors and theological educators in his commitment to the word of God and his preparation for doing ministry. Second, the community in Ezra-Nehemiah was committee to worship. The temple is the most obvious example of this, but the books describe the Israelites giving freewill offerings and participating in worship in many other contexts. Third, the community in Ezra-Nehemiah is committed to justice. Nehemiah stands on the foundation of the Old Testament by condemning the debilitating effects of poverty and exposing its root causes (178). Nehemiah’s passionate, public and practical response to social issues in the post-exilic community are a model for contemporary responses to injustice. Wright connects this engaged social action to the spiritual worship which characterized the community (180). Worship and social action should not be seen as two separate activities of the church. David Shepherd concludes the volume with a shorter essay on “Leadership in Ezra-Nehemiah” (188-211). Most contemporary studies of Nehemiah are bland leadership books which illustrate some modern (corporate business) leadership models by cherry-picking verses in Nehemiah and ignoring the actual context of Ezra-Nehemiah. These books were not intended to be “leadership manuals” nor do they directly address modern leadership issues. But, without being too cynical, ignoring most of the content of Ezra-Nehemiah sells more books for publishers than a quality exegetical commentary on the books. Shepherd takes a different approach by examining Ezra, Nehemiah, and the other leaders as examples of charismatic leadership (following the work of Max Weber). Conclusion. The three essays are worth the price of the commentary since they are based on a clear understanding of Ezra-Nehemiah and serious attention to the text. There are more detailed exegetical commentaries and more in-depth studies of the post-exilic period, but this Two Horizons commentary will serve pastors and teachers as they strive to communicate the important message of these two books. This volume is the first of five texts in the Lexham Methods Series. Each volume is edited collection of basic introductions to important concepts for biblical studies. The series appears in both print and Logos Bible Software format. Although there are several basic introductions to textual criticism, it is rare to find a primer on textual criticism of both testaments in a single volume. The first two chapters of this guide to textual criticism define the discipline by describing the goal of textual criticism as establishing the earliest reading text of a biblical text (40). This is not translation or interpretation since textual criticism precedes both of these steps. Textual criticism is necessary because of the massive number of copies, translations, and quotations of Scriptures in the literature of the early church, all preserved in hand copied manuscripts. The bulk of chapter two catalogs the usual list of textual variations with several examples draw from examples from both testaments. Greek and Hebrew is used, but the texts appear in translation so a reader without language skills will be able to get the sense of the explanation of the variants. For the most part these are unintentional errors which slip into the copying process. Although there are a few difficult examples, most are easy to explain and do not cause much trouble. More difficult are intentional changes to the text. In many cases a copies will correct spelling and grammar with the goal of improving the text. This is especially the case when the original syntax of the text is difficult. Sometimes a copyist will harmonize two parallel texts. This may occur when a copyist remembers the parallel passage and unintentionally inserts it into section he is copying, as in the case of the two versions of the Lord’s Prayer. But sometimes this is an intentional attempt to harmonize two parallel passages. One a few occasions, a copyist made theological changes, perhaps to prevent a reader from misunderstanding a text. The authors include the tiqqune sopherim as Old Testament examples. These are eighteen modifications to the Masoretic text made because the reading of the text seemed to be irreverent. The classic example of this theological change in the New Testament is 1 John 5:6-8 where the Latin Vulgate is clearly Trinitarian. The second chapter concludes the basic method of textual criticism. Anderson and Widder offer three principle for evaluating external evidence, preferring the older manuscripts (although this is nuanced slightly since early manuscripts are just as likely to have intentional changes), the reading that has multiple attestations, and the reading found in a variety of manuscripts (text types, families). With respect to internal evidence or transcriptional probability, the basic rule is “the reading that best explains the origin of the other readings is probably original” (45, citing David Alan Black). Three corollaries follow, usually called the “canons of textual criticism.” The critic prefers the shorter reading, the more difficult reading, and the reading which best fits the author of the text. This assumes (correctly) that copyists were more likely to expand a text rather than shorten it. This is the case for the name of Jesus, a copyist is more likely to add titles to the name of Jesus than delete them. It also assumes that a copyist is more likely to smooth out difficult grammar. After the first two chapters outlining the science and art of textual criticism, there are two sixty-plus page chapters for both the Old and New Testaments. Both chapters feature brief description of the materials for doing textual criticism, such as critical editions of manuscripts, translations and versions. These are necessarily brief and concise, and often summarized with helpful charts giving names, dates, and scholarly conventions for abbreviating these materials in the textual apparatus of critical editions. There are helpful charts for important papyri, majuscules, minuscules, but not for church fathers or lectionaries. Some readers will find these charts frustratingly brief, but since comprehensive lists appear in the front of the critical editions of the Greek New Testament is unnecessary to include more than the important witnesses in a handbook like this. Both chapters have a section on method with several examples of the process a student might follow in order to examine a particular variation. The tree steps are simple: (1) assemble the evidence for all variants, (2) analyze the variants, and (3) draw conclusions. I will comment on two examples, one from each testament. For Lamentations 3:22 there is a variant “we are used up” or “they are used up”? The evidence is drawn from the Peshitta, a Targum, and the Vulgate (although the LXX is not used in this example, it is for other examples in the chapter). The student then should work through the list of potential variations in order to explain which reading is likely to be the original reading. Doing New Testament textual criticism is more complicated because there are far more manuscripts and two different ways of indicating variants. The critical apparatus in the Nestle-Aland Greek New Testament uses a series of sigla to indicate a variant (see the chart on pages 150-51, this is worth memorizing) while the United Bible Society uses footnotes when a variant occurs. The general rule is the NA has more variations and less evidence, the UBS has fewer variants and more evidence. Using the same three steps as outlined for the Old Testament, the authors walk a student through the process for a variant in John 3:32 using the evidence in NA28. Each chapter ends with an annotated Resources for Further Study. These resources are often sections or chapters rather than a monograph or article. The final chapter is a short reflection on textual criticism today. Anderson and Widder make two points as a conclusion to their book. First, they discuss how textual criticism is reflected in popular Bible translations. This includes a short note on what critical editions the translation used for their translations as well as the textual-critical approach used by the translators. Second, the chapter includes two pages considering the impact textual criticism has on the authority of Scripture. They conclude “we can have confidence that the Bible we use reflects an extraordinary degree of accuracy and integrity” (184). Two items add value to this book for students. First, there is a twenty page glossary of terms used in the book. Second, the new edition of the book has an expanded, twenty page bibliography, including subsections for critical editions of the Old and New Testament, Peshitta, Samaritan Pentateuch, Septuagint and Vulgate). The previous edition of the book was heavily dependent on Bible dictionaries, especially the Anchor Bible Dictionary; that is not the case for the revised edition. The book includes subject and Scripture indices. Logos Bible Software Features. The book has a number of illustrations and charts. Most key terms appear in a PowerPoint like slides. These images can be copied and pasted into presentation software. The Logos Bible Software version also provides links to the glossary for key terms and scholars. For example, on the desktop version, floating the cursor over terms like Origen, Vulgate, or haplography and the glossary entry will appear; clicking the link will go to the glossary. This is extremely helpful when reading the book on an iPad. I am not sure if this is easily done, but I would challenge Lexham to take this glossary and release it in a flash card format, such as Study Blue, Quizlet or the adaptive learning technology platform Cerego. This would make the book more useful to students, especially of the book is adopted as a textbook. NB: Thanks to Lexham Press for kindly providing me with a review copy of this book. This did not influence my thoughts regarding the work. At this time of year we sing the carol O Little Town of Bethlehem. Everyone knows that Jesus was born in Bethlehem and “laid in a manger because there was no room in the inn.” Almost every word of that phrase has been exploded into a plot point for Christmas pageants. We imagine Joseph and his pregnant wife Mary arriving in Bethlehem just as she is about to give birth, only to be told that every hotel room in the city is full. A kindly innkeeper (dressed in your uncle’s bathrobe and sandals) allows the couple to give birth in his barn. Bethlehem is only 5 and a half miles from Jerusalem, and 3 miles from Gibeah. While the town was likely small, it was well within the range of Saul’s capital; elders from Bethlehem would have been well aware of court politics. That Bethlehem is so close to Jerusalem may explain David’s interest in taking the city after he becomes king. When he is anointed the city is controlled by the Jebusites, prompting some scholars to wonder if David was a Jebusite himself! The image of David when he begins his career is of a boy-shepherd who was at the same time a warrior capable of defeating great enemies because the Lord is with him, and he is committed to the Lord. Second, the Messiah was to be in the line of David (2 Sam 7:12; Psalm 2, 110). The Davidic covenant describes the son of David, Solomon, in terms which cannot be fully applied to Solomon. He will reign forever! Psalm 2 is a text which was originally used at the enthronement of a king, but the Psalm cannot describe any single human; that the nations will be ruled by a son of David who sits on the throne with the Lord himself goes well beyond an enthronement text. Likewise, Psalm 110 describes the victory of the son of David in battle in cosmic terms which go well beyond the hopes of any given king of Israel. 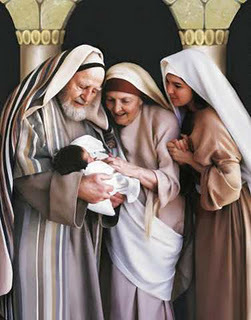 The messiah is therefore thought to be the ultimate fulfillment of the “son of David” prophecies. God would send someone to solve the problems of Israel who ultimately fulfilled the role of David in that he liberate the nation from their oppressors and prepared the way for true worship in the Temple. What was not expected is that this person would be quite literally God’s son! The birth in Bethlehem therefore meets the expectation that the messiah would be from the line of David as well as from the town of Bethlehem. Linus reading the Christmas Story in the original Charlie Brown Christmas Special is one of my favorite Christmas memories. There is something about hearing the appearance of the angels to the shepherds in the King James Version and hearing phrases like “and they were sore afraid.” But why do the angels appear to shepherds? Why announce the savior’s birth to them first, and not kings or priests? Shepherds are sometimes considered “the common folk,” and perhaps representative of the most sinful of people. It is true that Luke especially highlights the poor and shows how Jesus had a special ministry to the downtrodden. But the evidence that shepherds were sinners is late (fifth century AD), and the New Testament always presents shepherds in a good light (church leaders are shepherds, as are Moses and David in the Hebrew Bible). Since these are shepherds in the vicinity of Bethlehem, it is quite likely that there is a subtle reference to David, a shepherd who became king of Israel. The original leader of the nation, Moses, also spent forty years as a shepherd before shepherding Israel in the wilderness. The angel appears with the glory of the Lord and announces the “good news” of the birth of a savior. In the Roman world one would expect the “good news” to concern the birth of a son to the emperor or an announcement concerning a great victory over an enemy. But this announcement does not concern the birth of a son to the emperor in Rome, but rather the birth of the real king who will defeat the real enemy of all people, sin and death itself. The song of the angelic host draws on themes from the Hebrew Bible. The “heavenly host” is an angelic army, or at the very least an uncountable number of angels around the throne of God (1 Kings 22:18). That God should be glorified is not a surprise, nor is the fact that he is glorified in heaven (in the “highest” is euphemistic for heaven.” That God brings peace is also common in the Hebrew Bible, see Psalm 29:11 and 86:8-10, for example. Those that are receiving this good news are described as those on whom God’s favor rests. “reflects a semitechnical Semitic expression referring to God’s people and having overtones of election and of God’s active initiative in extending his favor” (Nolland, Matthew, 109). This phrase too is drawn from key texts in the Hebrew Bible, see Psalm 106:4 for example. But there is also a subtle reference to the Roman Empire here as well. The “Bringer of Peace” in the Roman word was Augustus, the first emperor. It was Augustus who established pax Romana, the peace of Rome. Although this was propaganda (Roman was always at war along the borders), for most people living at the time Jesus was born, the Empire was at peace and secure. This peace was guaranteed by the armies of Rome. Augustus was often called savior on official coinage and the Roman calendar was arranged to mark his birthday. People sang hymns of praise and worship to the spirit of Augustus and the power of his kingdom, Rome. It is therefore ironic that the angel announced the birth of the real savior of the world who will bring real peace to the world to the young shepherds in near a tiny village in an unremarkable backwater of the Roman Empire. Anyone who puts their faith in Rome and Roman power will be humbled by the sudden appearance of the real King, Jesus. This is an important message for Christians every year, but perhaps this year it is even more urgent. There is no peace and safety to be found in the government of any empire, whether that is Rome or America. Not human leader can really guarantee prosperity for all. If the angelic announcement of the birth of Jesus teaches us anything it should be the very biblical story that God’s kingdom will overcome the kingdom of man, so to rely on the empire of man is foolish indeed! 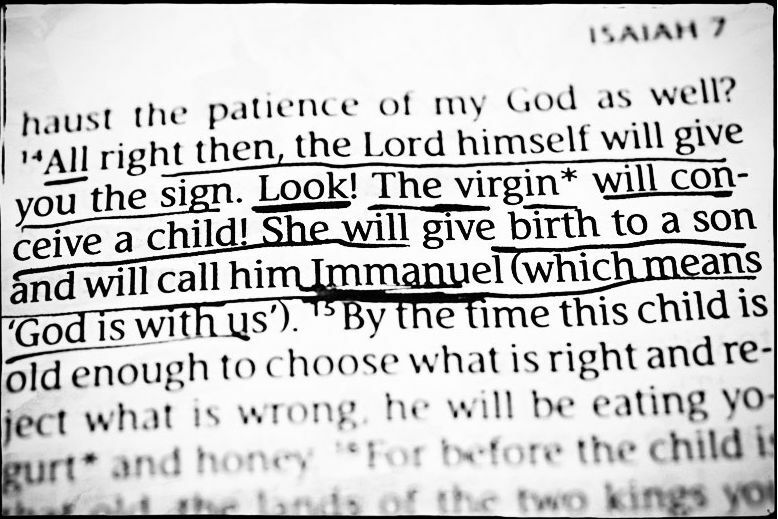 At Christmas we are used to hearing about the “sign of Immanuel” and that the “virgin will conceive a child.” Rarely does a Christmas sermon look back to the original context of the Immanuel passage. But Matthew may very well have intended his readers to remember the context of Isaiah 7:14 when he quoted it as fulfilled in the birth of Jesus in Bethlehem. Early in the career of King Ahaz of Judah, he was threatened by two larger kingdoms to the north, Israel and Damascus. Isaiah 7-8 and 2 Chronicles 28 connects Ahaz’ idolatry to the attacks from the King of Aram and the King of Israel. It is this threat and response that will have a chilling effect on the politics of Palestine and the survival of Judah as a nation. Perhaps the kings of Israel and Damascus sought to encourage Ahaz to join in the resistance to Assyrian invasion. In Isaiah we are told that they intend to put an unidentified “son of Tabeel” on the throne of Judah, someone that would be their “puppet” and would join them in rebellion against Assyria. The Lord offers to give Ahaz a sign that these things will happen (Isaiah 7:10-16). Ahaz appears to take a high “spiritual” attitude by saying that he would not put the Lord to the test. The Lord, however, gives him the sign anyway – The sign of Immanuel. Isaiah 7:10–16 (ESV) Again the Lord spoke to Ahaz, “Ask a sign of the Lord your God; let it be deep as Sheol or high as heaven.” But Ahaz said, “I will not ask, and I will not put the Lord to the test.” And he said, “Hear then, O house of David! Is it too little for you to weary men, that you weary my God also? Therefore the Lord himself will give you a sign. Behold, the virgin shall conceive and bear a son, and shall call his name Immanuel. He shall eat curds and honey when he knows how to refuse the evil and choose the good. For before the boy knows how to refuse the evil and choose the good, the land whose two kings you dread will be deserted. The sign is that a woman in Ahaz household will give birth to a child, and before that child is old enough to “know right and wrong” the coalition of the two kings will be broken. The name of the child is significant – Immanuel means “God with us.” The Lord is saying to Ahaz that no matter how evil and corrupt your heart is, God is still with you and has a plan and a purpose in the world. God is still with you even though you are in no way recognizing his presence and protection. The original context of the sign of Immanuel is God’s protection of his people at a dark and desperate time in their history. Judah was not faithful to the covenant at this time, yet God promises to protect them on account of the promises that he made to David. The birth of the child is important because it gives Ahaz an indication that it is only a few years until the nation is saved. Perhaps the child is Hezekiah himself, a king who will be faithful to the covenant and be instrumental in Judah’s salvation from the Assyrians (2 Kings 19). But the name of the child is far more important, his name is “God with us.” Even at the darkest moment for Jerusalem, God is still with the nation and has a plan to save them out of a disaster so great it would effectively end the line of David. This is the story which Matthew wants us to remember when he says “all this was fulfilled” in Matt 1:22-23. He is recalling the time when Judah was unfaithful and not looking to God for protection, yet God was “still with them” and would protect them because of his promise to David. This new publication from Hendrickson is a translation of Richelle’s La Bible et l’archéologie (Excelsis, 2012). This edition has been significantly revised, updated, and enlarged. Alan Millard contributed a forward and the book concludes with thirty-two color photographs (eight pages). As the title implies, this book is focuses the archaeology which would interest a reader of the Bible, although the concerns only the archaeology of ancient Israel. There is little in this book on the archaeology of Asia Minor or other sites in the ancient Near East. The first three chapters of the book attempt to lower the expectations most people have for archaeology and the Bible. Unfortunately the only experience most people have with archaeology is watching the Indiana Jones movies. Although there have been some spectacular finds in the history of archaeology, most of the work of archaeology deals with far less exciting details. The evidence is always fragmentary and provisional (107). The first chapter describes what archaeologists actually discover, beginning with ancient cities. Richelle outlines the problems associated with even identifying an ancient location and the types of civic architecture associated with most sites. Perhaps the most exciting discoveries archaeologist make are texts. The second chapter of the book is devoted to what kinds of texts are usually discovered, from royal stelae to clay tablets and ostraca. Richelle also discusses papyri and scrolls, including the Dead Sea Scrolls. Finding an inscription is only half the job. Richelle discusses the problems facing epigraphers as they decipher and interpret these written documents. He briefly mentions the extremely vexing problem of forgeries. In the third chapter Richelle describes the limits faced by archaeologists as they try to interpret the data. For example, it is often extremely difficult to identify ancient sites and date finds accurately. Ultimately, archaeologists offer interpretations of data and all interpretations must be tentative. Excavations are always partial and often archaeologists fail to publish full reports for scholars to examine. As is often observed, real archaeologist love to dig, but hate to write. The final three chapters deal with the relationship between the Bible and archaeology. This chapter begins with a summary of the often bitter debate over the role of the Bible in doing archaeology in Israel. Some of the earliest archaeologists went out with a spade in one hand and a Bible in the other. These so-called biblical maximalists accepted the Bible first and found what they expected to find in the archaeological record. On the other end of the spectrum, the so-called minimalists only use physical evidence from archaeology and have little interest in the Bible as source of historical information. Richelle argues for a balance view which makes judicious use of the Bible in archaeology. Since both sources are fragmentary, it is important to use one to illustrate the other. The Bible is “a precious source at the level of historical interpretation, but it must not prescribe in advance what should be discovered during excavations” (108). To illustrate this problem, Richelle offers a case study using recent challenges to the traditional view of David and Solomon (chapter 5). The traditional view is that David and Solomon existed and biblical archaeology would point to several Iron Age sites as evidence for a central authority in Israel (the city gates at Megiddo and Gezer, for example). In Jerusalem the stepped structure at the City of David and evidence from the Ophel imply an Iron Age expansion of Jerusalem. However, all this evidence can be interpreted differently by re-dating sites (a “low chronology”). The final chapter of the book extends this discussion to the lack of inscriptions from the time of David and Solomon. If there was a kingdom of David and Solomon in the tenth and ninth centuries B.C.E. with an extensive administration center in Jerusalem, where are the inscriptions? It is a fact there are very few examples of writing from the period, far less than in other areas explored by archaeologists (Egypt, for example). Richelle argues the absence literary texts in the archaeological record does not necessarily correlate with the development of a culture. But he also outlines the development of a scribal tradition in ancient Israel. Conclusion. This short book is a good introduction to the problematic nature of the Bible and Archaeology. It is perhaps too brief; since the book uses endnotes, there are only 108 pages of actual text. The Hendrickson website claims the book has 168 pages, but that is not the case. NB: Thanks to Hendrickson for kindly providing me with a review copy of this book. This did not influence my thoughts regarding the work. Zechariah is the father of John the Baptist. Zechariah and his wife Elizabeth were childless and too old to have any children, yet Zechariah is told by an angel of the Lord that his wife will have a child, and that child will be a prophet in the power of Elijah, and that he will be the forerunner of the Messiah. Zechariah questions this prophecy, since it seems impossible to him. He is told by the angel Gabriel that because he doubted the word of God, he will not speak until the day that the child is born. On the day the child was to be named, Zechariah was again able to speak, and we are told that the Holy Spirit filled him, and he prophesied these words. It is important to note that these are the words of the Holy Spirit spoken through Zechariah to the people that were gathered in the temple for John’s circumcision. They would have all been familiar with the prophecies of the Old Testament concerning the coming of the Messiah. In this ten verse section there are at least 16 allusions to the Old Testament, making it clear that John’s birth, and more importantly, the birth of Jesus three months away, would be the fulfillment of the hopes of Israel. The word Zechariah uses for “has come” is literally “visited” (ἐπισκέπτομαι). The word has the connotation of an inspection or examination. Zechariah is saying that God is about to come to inspect his people. In the Old Testament, when God “visited” his people, it could be to bring them some sort of blessing, or it could be to bring the judgment. In Exodus 3:16 God has “observed” the suffering of his people (ESV, same word appears in the LXX), and in this case he is about to rescue his people from their slavery. Zechariah’s words are therefore a prophetic warning that in the near future God would visit his people, and that “visitation” might not be a time of great blessing and favor. God may be visiting in judgment! There is an element of foreshadowing in Zechariah’s words: at the end of Jesus’ ministry he weeps over Jerusalem because they did not recognize that “this day” was the time of God’s “visitation” (ἐπισκοπή, a noun from the same root as 1:68). Sadly, the people did not heed the warning and were unprepared for God’s inspection. This is what happened with the birth of Jesus: God has literally come to man. By becoming flesh Jesus was able to offer to his people ultimate forgiveness of sin. We do not usually associate the Christmas story with a time of God’s judgment, but it is significant that this first prophecy of Jesus’ ministry in Luke describes Jesus as the coming judge.